Starting a website of your own has never been easier, and there have never been more ways to go about getting a website. We explain how to go about publishing your own site, whether you want to do it yourself or contract a website designer. The good news? You won’t have to pay through the nose. Prices are super-competitive, whether you’re looking to use a website developer or a website builder. It’s all dependent on your budget, how much time you have and what you want your website to be like. You could try building a site for free as well, but we’ll explain in this guide why we don’t recommend this. The most important thing is to understand which approach to website-publishing is right for you. We’ll tell you everything you need to know about each way to build a site, how much you can expect to pay, and the pros and cons of each choice. What's the Easiest Way to Make a Website? What’s the Easiest Way to Make a Website? Building a website yourself isn’t as hard as you might think, and modern website builders make this very affordable, too. The easiest way to make a website is by using a website builder. These are interactive, browser-based tools that will let you create a website using one of their off-the-shelf templates. Just because the templates are ‘ready-made’ doesn’t mean you’ll be left with an identikit site, though. You’ll be amazed just how professional looking the templates can be, and they leave lots of room for customization at every step of the way. There are some big names offering website builder tools, from GoDaddy to Squarespace, and even WordPress. But, our favourite overall website builder is Wix. From our thorough testing, Wix emerged as the best website builder platform you can choose. We invited first-time users of website builders, plus more experienced users, to try various platforms, and feed back on how they found each one. We also appraised the features, plug-ins, apps and help & support available when forming our recommendations. The first step to creating a website with Wix, or any other website builder, is by picking a template. 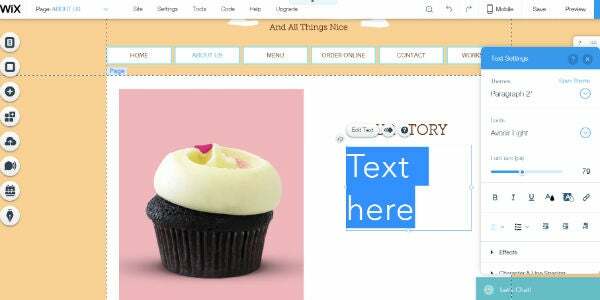 Rather than acting like restrictive training wheels, these templates form the rough outline of a site, which you’re free to change as you see fit. Website builders make editing your site straightforward, even for beginners, by using simple drag-and-drop editing tools, and easy to install apps and plugins. In many ways, using a website builder is no more complex than using Microsoft PowerPoint. They also take care of the most complex parts of owning a site, such as domain hosting and HMTL coding. After you’ve finished constructing your site (which needn’t take long at all) you’ll be able to dip back in and change anything, at any time. 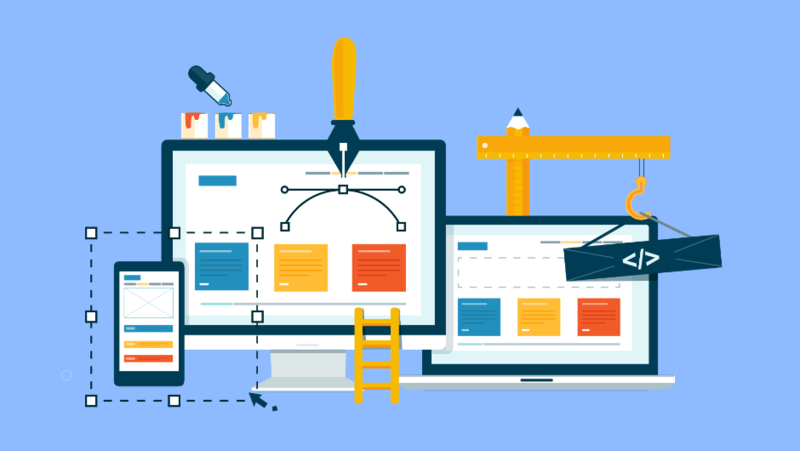 This gives website builders a big advantage over using a web designer to create a site – you’re in complete control, all of the time, and you won’t have to be waiting around for them to make any updates you request. It also means that you won’t need to keep paying an expensive retainer fee to the web designer, which can always increase if you need new features or a lengthy piece of maintenance. Instead, you’ll be paying a flat, predictable and affordable fee which can be billed monthly, annually or biennially. If you don’t wish to take on the task of building a website yourself, then you can contract a design professional to do it for you. Web designers can be a fantastic choice for small- to medium-sized business owners. You’ll get a completely unique website and you won’t lose any of your time building the site itself. It can also be handy to hire a web designer if you need bespoke features. Instead of creating the site yourself from a template, you’ll brief the designer on exactly what you want your site to look like, and the features you need it to have. They’ll get on with creating draft versions of your site, while you can get on with running your business. $250- 650: Brochure style website with 1-5 pages including a landing page and a contact page. This budget suits someone who is not looking to regularly update their site. $13k+: A database driven site for huge audiences, or completely bespoke functionality. Of course, these are guideline prices for website designer fees. However, Tech.Co can help you find the right website designer for your needs, so you can get an accurate quote in seconds. Before commissioning a website designer, however, it’s worth having a good understanding of exactly what you need from your site. And, to find out exactly what you need from your site, you’ll need to understand who your website’s users will be. Our guide to what makes a good website will help you understand the fundamentals of a good website and how to make it work. There are various ways of publishing a website for free, using a website builder platform. However, the downsides mean you’ll have to accept a lot of limitations. Yes, you can publish an entire website for free, without paying a dime. And sure, this may sound great, but you’ll end up with a substandard website because of all the compromises you’ll have to make. In fact, we’d go as far as to say that you should never make a website for free. If you’re running a business, you might even lose customers due to the limitations of free website publishing. That small saving upfront could cost you in the long run. Building a Facebook page for your business is definitely a good idea, as long as you keep it up to date and use it to engage with customers quickly. However, using a Facebook page in place of a proper website will make your business look a little amateurish and unprofessional. It also won’t give you access to features that are easy to implement on a website builder, and are highly valued by users. If you run a restaurant, for example, you won’t be able to add a food menu. Moreover, being restricted to a Facebook page means that you won’t be able to build your brand, and you’re less likely to appear at the top of Google rankings when someone searches for businesses like yours. There are no benefits in the long or short term to be had from trying to create a website for free. You’ll lack advanced features, look amateurish and users will have a hard time even finding your site or Facebook page. When building your own website or hiring a website designer are both affordable and quick options, there’s no reason not to have your own site in 2019.